Massacre of the Bay: The main event of MOB, here it is in all its controversial glory! The beast from the east, Arsonal makes the trip out from Newark to go up against LA’s own Dizaster. This one ends in an interesting way….WATCH THE CHAOS UNFOLD IN ARSONAL VS DIZASTER! 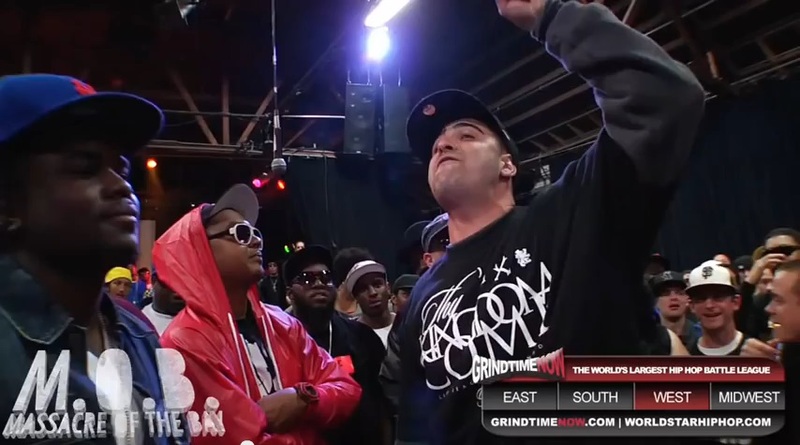 This entry was posted in Arsonal, Dizaster, GrindTime Now and tagged arsonal, Battle Rap Lyrics, dizaster, grindtime now, Massacre Of The Bay, Rap Battle Lyrics. Bookmark the permalink.